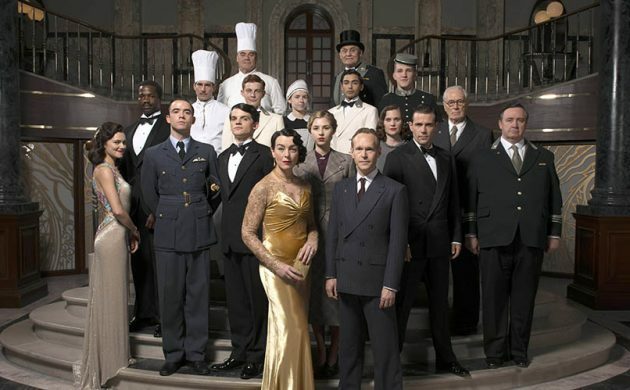 Close half an eye and regard this new series as a sequel to Downton Abbey, resuming the action 15 years later in a London hotel during World War II. Made by ITV, they’re presumably using the same wardrobe. Maggie Smith’s dead of course, but the rich and beautiful are still enjoying their music, cocktails and intrigue in luxurious, art déco settings, but this time with Nazism and talkies thrown into the equation. We’ve got new central characters in two popular returning series this month. Jack has Bauered out of 24: Legacy (3+, Feb 6, 22:00) to make way for new blood, but will it reduce the blood-letting? And David Morrissey and Keeley Hawes have taken over careless parent responsibilities in The Missing, which returns with the same detectives, but not James Nesbitt, who has got Cold Feet. Also changing guards is a white supremacist who must remove his tats before he can succeed at Erasing Hate (SVT1, Feb 2, 22:45). In a strong week for docs, Bobby Riggs takes on Billie Jean King in The Battle of the Sexes (SVT2, Feb 13, 22:15); Tickled (SVT2, Jan 30, 22:15) takes a sinister turn beyond the laughter; and music fans will like Saturday Night Fever: The Inside Story (DR3, Jan 31, 21:30), Metallica Through the Never (Zuu, Feb 10, 22:45), Marley (SVT2, Feb 4, 20:10) and Florence Foster Jenkins: A World of her own (SVT2, Jan 29: 12:40). Based on Louise Doughty’s 2013 novel, the BBC’s new four-episode miniseries is a provocative thriller about a middle-aged scientist, played by Emily Watson, having a secret affair with a mysterious man (Ben Chaplin). Feminists are thrilled apparently. “Apple Tree Yard does feel like a very female thing. And that’s good. Female in a positive, powerful, celebratory way too,” observed the Guardian. Stateside, Sneaky Pete (Metacritic: 78) has been the best rated new series so far this year. Co-created by and starring Bryan Cranston (Walt in Breaking Bad), Giovanni Ribisi plays a con-man who steals the identity of his prison cellmate and experiences family life for the first time. One day at a Time (78), a Netflix remake of a 1975 sitcom of the same name, is also family-focused. Starring Justina Machado and 85-year-old Rita Moreno (trivia alert: she was the first to win an Oscar, Emmy, Tony and Grammy), it’s proof that single mother comedies needn’t be stale. Unfortunately The Mick (50) didn’t get the memo.